If you work in the tech field, you have probably experienced burnout. Hopefully, this debilitating condition didn’t happen to you. Perhaps you witnessed a colleague “crash and burn” due to high levels of stress that were never relieved. Unfortunately, this type of on-the-job burnout, in the tech industry or any other, can lead to more than just career failure. Mental health professionals recognize burnout as a serious physical and mental problem. When left untreated, the chronic stress which leads to burnout can even cause someone to have thoughts of suicide. The constant release of cortisol and other stress-related hormones cause dangerous imbalances in your mind and body, which could lead to an inability to function normally. This is why it is so important to identify the symptoms of tech burnout so you can deal with them before you become a victim of this very real technology field calamity. It is always better to prevent a health condition rather than treat it. When you experience constant, unrelenting stress, your body and mind will eventually break if you don’t take a break. So schedule frequent breaks throughout the day to think about anything other than your career. Look at the list of symptoms above. When you start noticing more than one of those tech burnout symptoms in your life, stop what you’re doing. Think about your career and your personal lives. Prioritize what is important to you. Work is fine, and devotion to your job is admirable. On the other hand, if you experience burnout as a member of the tech field, you could ruin your career rather than bolster it. Make sure you get plenty of rest. Keep properly hydrated, on the job and off. Eat a healthy, balanced diet. Don’t forget to exercise regularly. All of those activities lead to a body and mind which can naturally handle stress and anxiety. 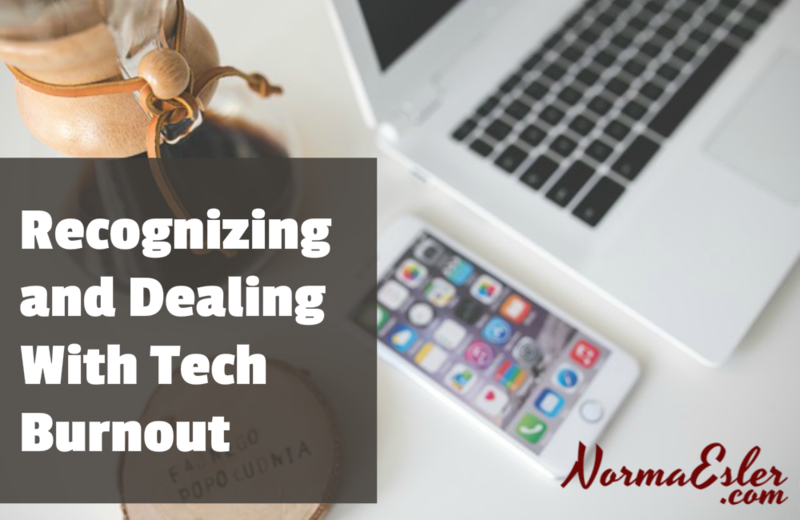 As you already know, stress and anxiety are frequent companions in the technology field, so make sure you take the required steps to keep tech burnout from negatively impacting your life.